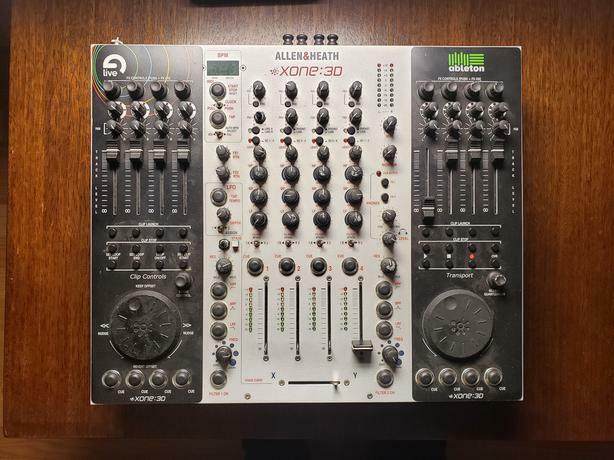 Allen & Heath Xone 3D for sale. Great 4 channel analog mixer with integrated sound card, USB midi interface, and midi controller. It was roughly $3000, and top of the line when it was new. Great all in one package. I'm selling because I don't have to to play with it any more. The unit has seen some things. It is missing some knobs, has a dent in the face plate, the right rotary encoder has some issues, and the unit occasionally crashes. Over all it does work. Allen & Heath make some of the best mixers on the market, and this is one of them. Could be an easy fix, I just don't have time to look at it.